It seems fitting that on the day my city gets its first major snowfall of the season…I learn of a new indoor bike park! Following in the footsteps of other parks (Rays MTB, Joyride 150, Cranx and others) this particular park takes the concept outside of North America. Wood15 is the first indoor bike park of this type in Europe. Located in Sittard-Geleen, Netherlands (in an old Phillips television factory), it offers terrain and features suited for beginners and experts alike. Of course, it’s also a welcome escape if Mother Nature turns nasty. The park also has a nice-looking coffee bar called “Drinkplaats” inside to keep you caffeinated/hydrated during your session. It definitely looks like a pretty cool place…and kinda makes me want to visit the Netherlands! This sweet ride caught my attention during my last trip to Ray’s MTB in Cleveland. The owner of the bike, Joshua “Lurch” Gittere, was tearing up the jumps on it so I chased him down to get the scoop. Very much in the MTB or BMX? category, his custom-built bike seems to combine elements of both styles of riding to make something very distinctive. Manufactured by Matt at Stout Bikes (you might remember the eye-catching Beelzebike was also made by Stout) this bike is big and strong. Lurch had originally asked to have it built up for a 100mm suspension fork, which is how he rode it for a little bit. Then he decided he wanted to see what it rode like when it was built up like a “true” bmx bike with rigid forks and big bars. 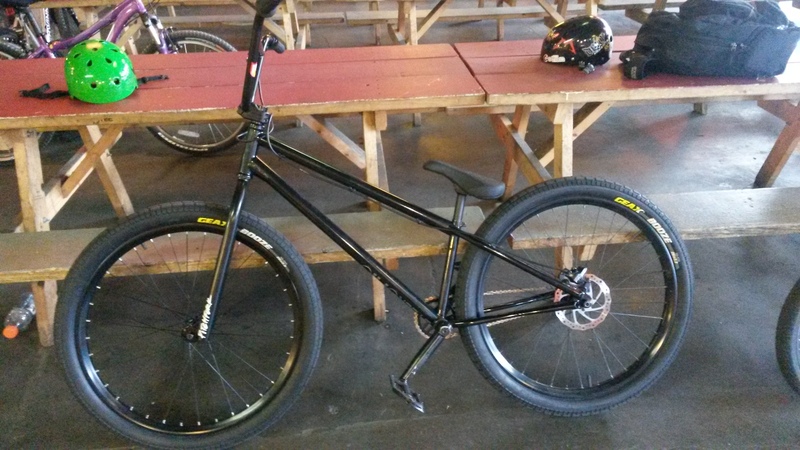 All in all, a pretty interesting mix of both BMX and MTB elements in this bike. 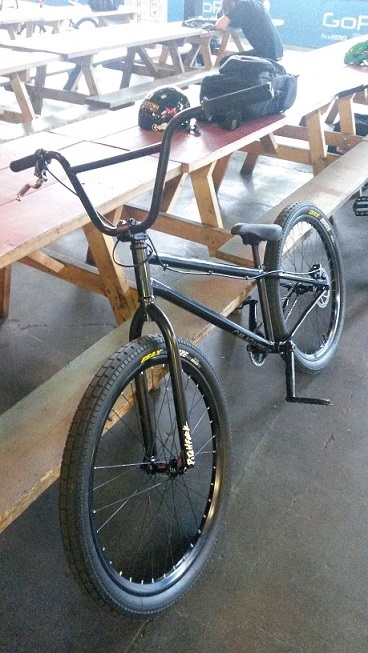 Lurch said he had dealt with some back problems in the past and this setup really made it easy for him to ride and be comfortable on his bike again. Who can argue with that? I’ve always thought the story of Ray Petro and Ray’s MTB read like a Hollywood movie. Well, the movie still has yet to be made, but it looks like you can now get the next best thing. A book, put together by Ray Petro and professional adventure sports writer and photographer, Johnathon Allen. Ray’s, The Inspirational Story of the World’s First Indoor Mountain Bike Park, tells the story of how Ray overcame drug and alcohol abuse to create the standard-setting Ray’s MTB bike parks. Available at the bike parks and through Amazon, this looks like it is going to be one fun read. 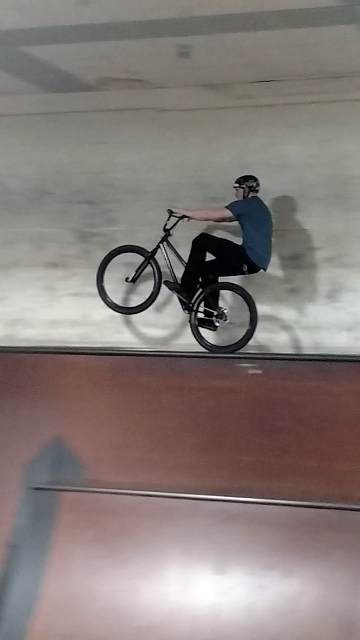 The story behind Ray Petro and his wild idea to build an indoor bike park (so he’d have a place to ride in the winter) reads like a Hollywood movie. To this day, I’m still surprised that someone hasn’t jumped at the chance to make a movie about it. 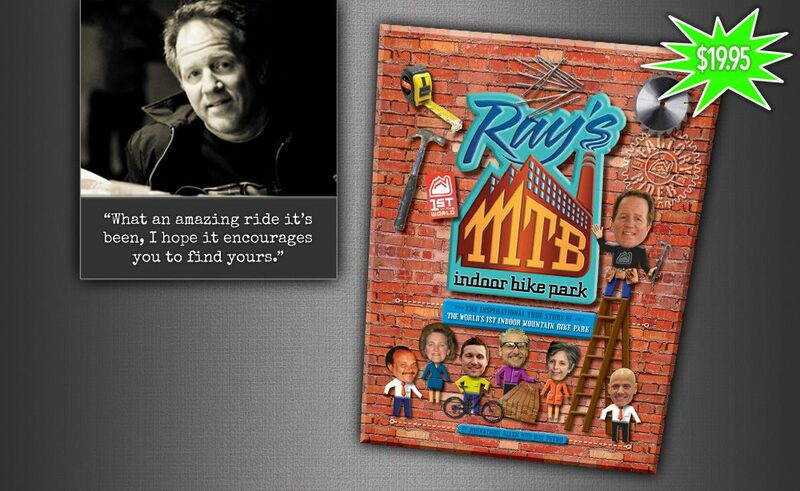 Thankfully, as Ray’s MTB celebrates its 10th anniversary this season, the story of how Ray took his dream and made it reality is getting shared by a number of mainstream media outlets. One of them is Start UP , a new television series that looks into the experiences of American entrepreneurs. They caught up with Ray at the Milwaukee location and do a great job of capturing how Ray managed to pull it off. A truly inspiring story. Watch for the segment to air sometime soon on your local PBS station. Another good feature done on Ray’s MTB was published recently by the Akron Beacon Journal. The article includes a good interview with Ray, pictures and a short video to round out the coverage. If watching or reading these accounts doesn’t inspire you to follow your dreams, I don’t know what will. This winter has been unrelenting in terms of storms, cold temps and all around crappy conditions. BMXers in the northeast have been hit particularly hard by this nasty weather and are collectively just about ready to say good riddance to old man winter. Thankfully, this weekend brings two big events that will put a spring in the step of BMXers of just about every stripe in the northeast. The first is the annual Toronto BMX Jam. The unofficial kickoff to the contest season and an excuse for BMXers to get a bit of a BMX party going on, the Toronto BMX Jam is a contest that gets people’s stoke factor to go off the charts. Set up as part of the Toronto International Bicycle show (kind of like a mini-Interbike), it features the Toronto BMX Jam, a flatland contest, indoor racing (mostly MTB these days) and a jumping competition. The riding is unbelievable, the crowd is loud and chances are that you’ll run into riding buddies you haven’t seen for ages. So much fun. I’ll be there Saturday and Sunday and if you have the chance I hope you will too…this is one of the most fun BMX events of the year. Did I mention the riding is unbelievable? Check out this clip from the finals last year. The second big event is at Ray’s MTB Cleveland. 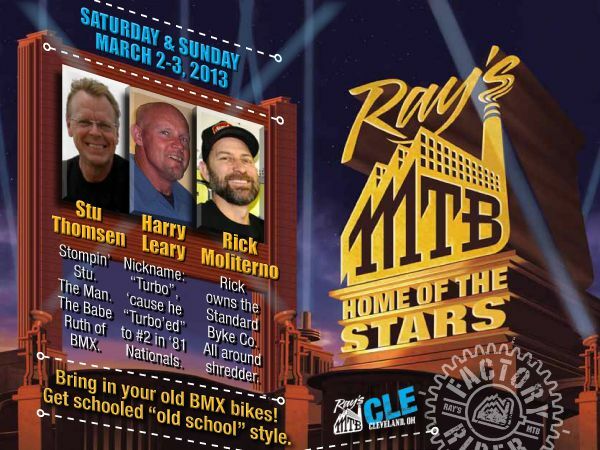 This coming weekend they will be hosting 3 (really) big names in BMX: Rick Moliterno, Harry Leary and Stu Thomsen. That’s almost BMX royalty right there! If you’re a BMX nerd like me, you know those guys have some stories to tell. Much respect for those dudes. So if winter has got you down, these events might be the cure for what ails you. Check ’em out if you get a chance.